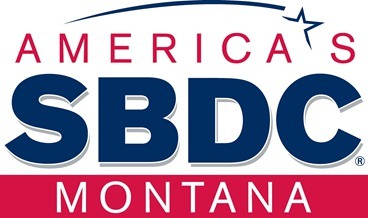 Welcome Clients of the MT SBDC! Profit Mastery: Creating Value and Building Wealth, the internationally-acclaimed live seminar, is now available as an online streaming high-definition video program. Profit Mastery University (PMU) is a user-friendly and funny seminar that teaches how to manage a company from its financial reports -- something every business owner or manager needs to know how to do. "Profit Mastery is hands down the best financial program I have ever seen. It connects profit and cash in a way that is game-changing." Taught by world-renowned speaker Steve LeFever, Profit Mastery: Creating Value and Building Wealth provides real-world financial tools, delivered in plain English, to help businesses survive and thrive. Normally delivered in a classroom setting over two days, the entire Profit Mastery course is now easily and conveniently viewed 24/7/365 in bite-sized segments online. Filmed in front of a live audience at an actual seminar, you'll see real people learning the same tools and concepts at the same time you are learning them ― and you'll feel like you're right in the classroom! my bottom line improved, and it was the best year on record for my business." Since 1984, thousands of business owners just like yourself have applied our proven techniques to their businesses, resulting in greater profits and improved cash flow. Comfort Keepers network in a major way, and we thank you and your team for that. We are a significantly better system for our work with you." — Jim Booth, CEO, CK Franchising, Inc.